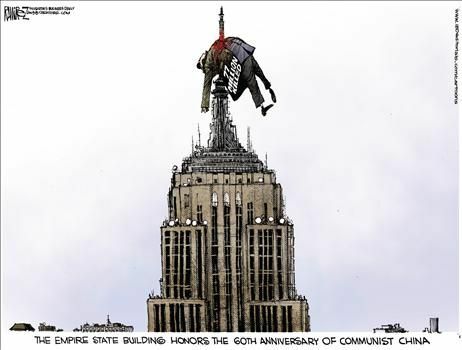 Socialism « America, You Asked For It! You’re now the proud owner of yet another failed corporation! The week between Christmas and New Year’s Day is usually a week when Americans slow down and take some time off. Kids are out of school, many companies are shut down or slowed down, and quite a few families are on vacation. Congress is even on vacation, minimizing the damage they typically inflict on the wallet of the American taxpayer. This year the Obama administration took advantage of the holiday distractions to seize control of GMAC, the financing arm of General Government Motors Corp. This third bailout of the company that writes loans for Government Motors and Chrysler Corp. vehicles resulted in the US government increasing its ownership share of the company to 56.3%. This, of course, once more gives the Obama administration controlling interest in what had been a privately owned company. When the Bush administration signed off on the first $6 billion GMAC received from the US taxpayer, officials in the former President’s Treasury Department considered it “part of a broader program to assist the domestic automotive industry in becoming financially viable.” But in May 2009, the Obama administration handed over another $7 billion in taxpayer wages to the beleaguered finance arm of what was soon to become the first US government owned auto maker. The second bailout netted the Obama Treasury Department a 35.8% stake in the corporation, and an agreement GMAC would take on the additional liability of financing customers of Chrysler Corp. This followed almost immediately after the President took an 8% stake in Chrysler for the US taxpayer and handed over a 55% controlling interest to the unions. President Obama had already invested billions in Chrysler and plans to secure US government ownership of General Motors were in the works. 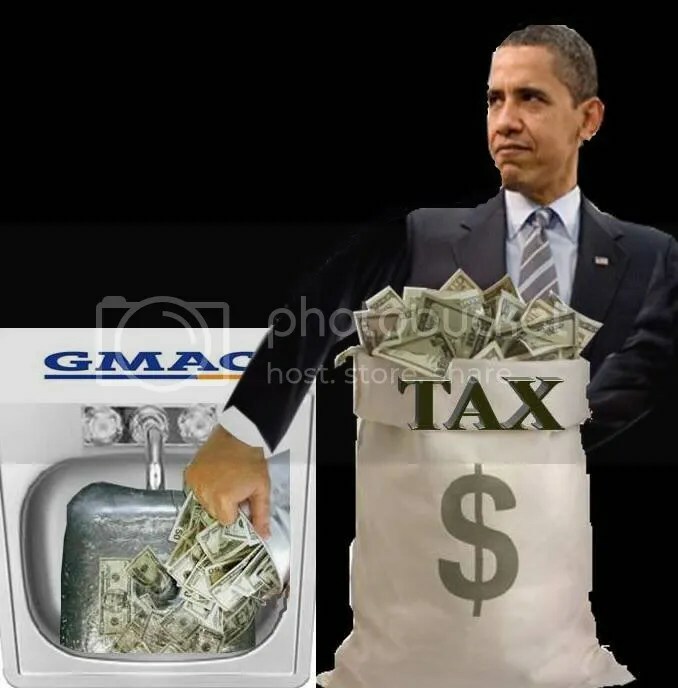 Bailing out GMAC became an easy way to launder even more bailout cash to the President’s experiment with union and government ownership of former US industrial icons. As with other stones forming the foundation of Obama’s economic policies, funneling money to the automakers through loans to their customers didn’t prove too solid. But that’s not something the President is willing to admit yet–that his policies for stimulating the economy have failed. No, his newest plan is to throw good money after bad and pile another $3.8 billion of YOUR money onto the still smoldering pile of waste known as GMAC. The first $6 billion wasn’t enough to rescue the financial firm and its now-nationalized benefactors of its bad loans. The next $7 billion couldn’t save it, but did put Obama in control of 35.8% of the company. The second bailout also allowed the President to twist the arm of the company and force it to agree to loan more money to customers of GM, which Obama would soon nationalize, and Chrysler, which the President had recently handed over to his union backers. Though neither of these bailouts accomplished their (supposed) goal, our omnipotent, omniscient oracle Obama, in his infinite wisdom, has determined the solution to the problem is to pour more of your hard-earned tax dollars into the bankrupt corporation, $3.8 billion more. But don’t worry! The President who brought us $1.4 trillion deficits and a $12 trillion national debt has traded our greenbacks for a controlling interest in the company. That’s right. We now own 56.3% of a company that can’t attract private capital because it can’t manage to stem the flow of red ink from its books. A company that cannot, on its own merits, attract private capital. President Obama is forcing all American taxpayers to borrow money to purchase a portfolio of profitless companies controlled by politicians and bureaucrats. So congratulations taxpayers! Like it or not, you own yet another failed corporation run by Chairman Obama. ARRA News Service – We received an advance copy of tomorrow’s cartoon from NetRight Nation. It was just too good to pass up “The Obama Joker.” This cartoon seemed appropriate, considering the facts that 1) President Obama twisted the arms of the Democrat Senators today to support his demands to pass a national health care program regardless of what they may hear from their constituents, and 2) the fact that Obama’s key economic advisers indicated that taxes will need to be increased on the middle class. As the cartoon illustrates, Socialism requires lots of money and therefore a lot more taxes. You read that correctly. According to Democratic Governor of Tennessee Phil Bredesen went to DC to convince Government Motors to build a new model car in the soon to be shut down assembly plant in Spring Hill, TN. The Democratic Governor stated GM demanded cash up front–you know, sort of like a leave-it-in-an-envelope-on-my-desk-as-you-walk-out- if-you-want-our-car-built-in-your-state bribe. “The only one they want to know is how much cash can we put up front, we don’t care about tax credits, we don’t care about any of those other things, we want to know how large of a check are you going to write on the front-end,” said Bredesen. In a truly free market, GM would get your money one way and one way only — by selling you a car you want, at a price you are willing to pay. Instead, the government is giving public money to a private company in spite of the market signals it has been sending. Throwing money at GM does not stop it from being an engine of wealth destruction; on the contrary, it simply gives it more wealth to destroy.